It is normal to keep writing very similar SQL statements while working on database logic. 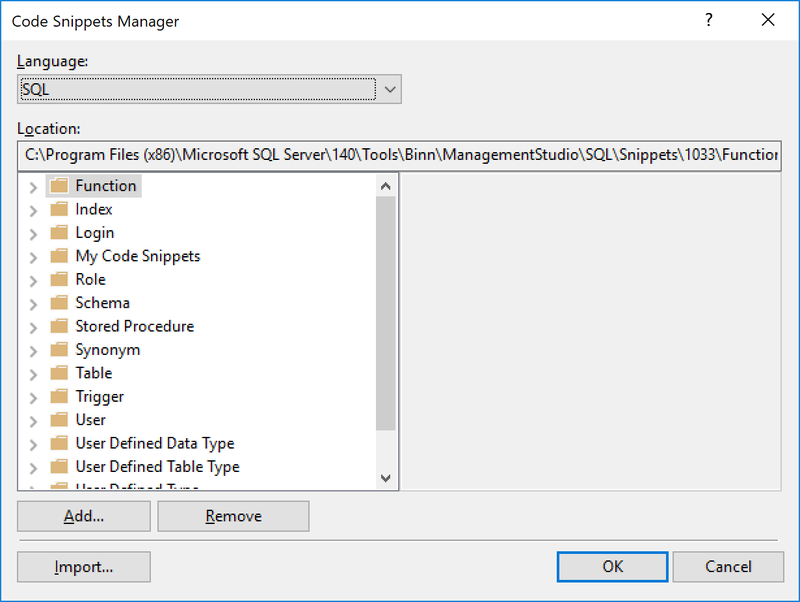 Over the course of the past 10 years, I’ve been using SQL Prompt from RedGate in order to make my life easier while writing repeated SQL statement, it is very nice tool that is integrated with SQL Server Management Studio (SSMS). I mean by repeated statement things like “Select * from “, “Select Count(1) from “, etc… to a more complex statement which is checking what is being running currently on specific database. well, I can save these complex statement into files and just keep opening these files and use them. But that’s takes time. RedGate SQL Prompt, is relatively expensive tool specially when you need to purchase it to for your large team. 2. Before saving the file, change the text “You SQL Snippet Goes here” to your repeating sql statement. 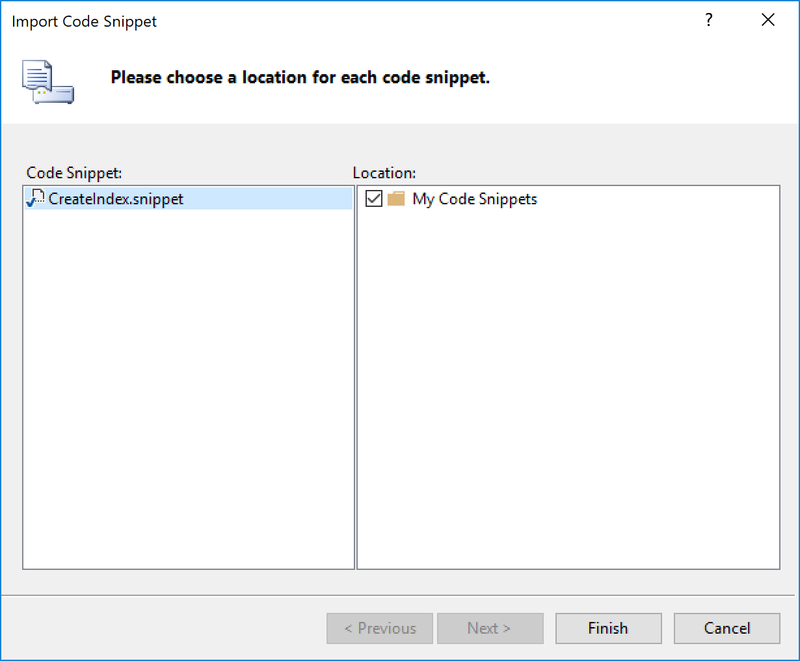 By doing above steps, you will have new snippets imported into your SSMS IDE. to use you, do right click, click on “Insert Snippet”, select your correct folder, then select your correct Snippets.